315 Woodland Village #315, Homewood, AL.| MLS# 827325 | Richard Jacks UABLIVING.com 205-910-2297 | Birmingham AL Real Estate | Contact us to request more information about our Homes for Sale in the Birmingham AL area. This ADORABLE CONDO is filled with warmth, character and charm. It has been updated with everything you dreamed of. The Kitchen is gorgeous with updated cabinets, custom breakfast bar with granite counters, decorative arches and under cabinet lighting. The custom bathroom features a beautiful vanity and custom tile. The Living Room and Dining Room are bright and inviting and leads to the private covered patio that overlooks the peaceful wood setting. You will love the master bedroom and custom closet. 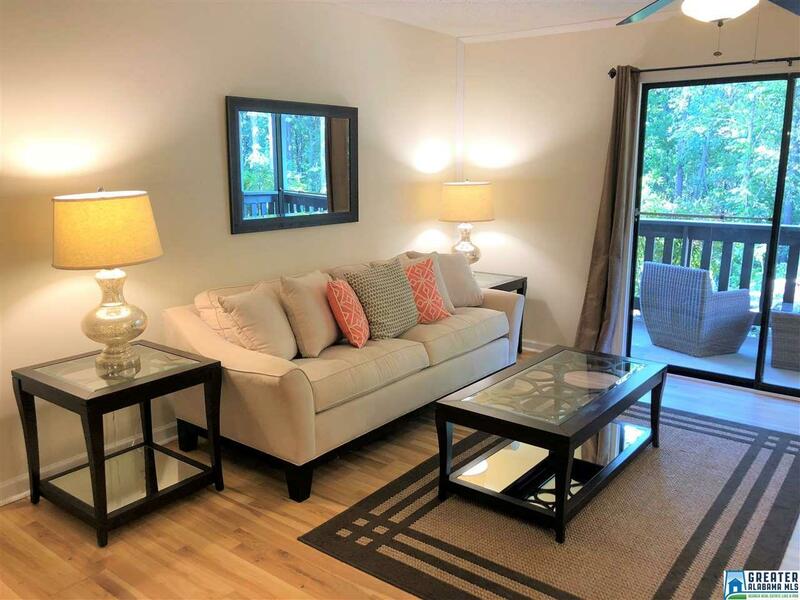 All this, and it is CONVENIENTLY located just minutes from SAMFORD, UAB, BROOKWOOD HOSPITAL, VESTAVIA/HOMEWOOD SHOPPING and AWARD WINNING HOMEWOOD SCHOOLS. The CONDO Fee covers the beautiful POOL, CLUBHOUSE, GAS, HOT WATER, WATER, SEWER, TERMITE AND PEST CONTROL and BUILDING INSURANCE. You will LOVE living in WOODLAND VILLAGE. Driving Directions: Hwy 32 N Just Past Brookwood Hospital, Turn Right On Old Montgomery Hwy Woodland Village Is Straight In Front Of You Before The Curve. Turn Right To Bldg 300.